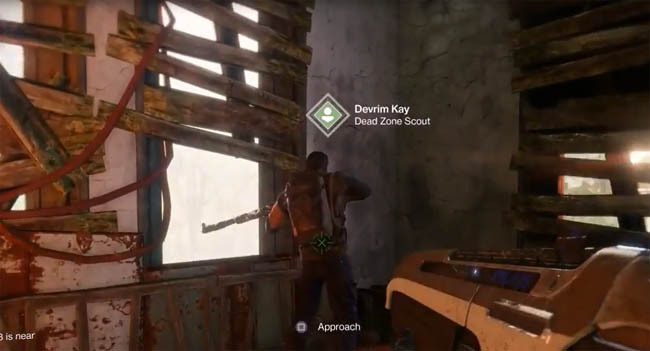 A substantial leak from a Polish gaming website (ppe.pl) has confirmed major details about the European Dead Zone in Destiny 2, including the name of our first EDZ NPC: "Devrim Kay". 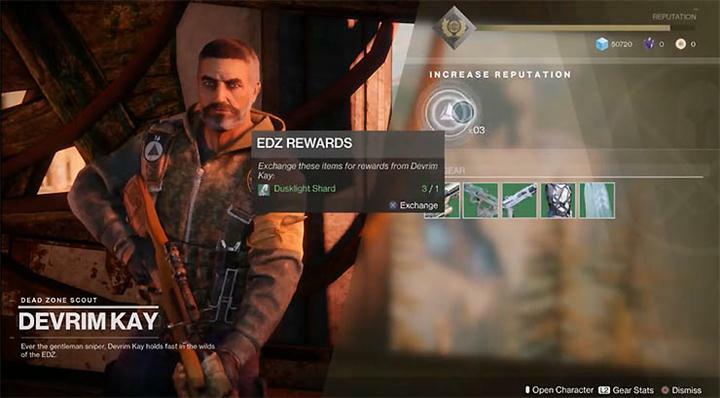 This character offers faction rewards for the EDZ, with the chance to earn and purchase regional weapons. With Gamescom only just kicking off, the gameplay previews were not supposed to come out this early, but as is always the case, a leak has found it's way into the wild once more. From the gameplay, we see the player exploring a battered tower structure, almost like a "bombed" cathedral, winging their way up the broken paths to the stained glass window area where Devrim Kay resides. Interacting with the Dead Zone Scout character, opens the familiar faction screen that we've seen previously in the original Destiny game. 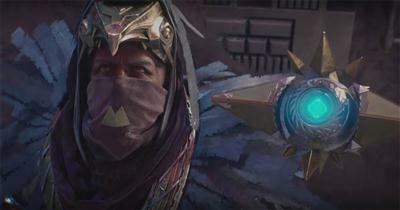 A legendary void Power Weapon called "Flash and Thunder"
A legendary solar Power Weapon called "Blue Shift"
Also of notable interest was the other optional way to rank up with the EDZ faction. Players can exchange "Dusklight Shards", a planetary resource found throughout the EDZ, in return for some additional faction rep. Besides the introduction of Devrim Kay, we also learnt a lot of other things. Lost Sectors are not always hard to find, activating a Public Event refills your Super, and we have the return of regional chests (gold chests) that drop a selection of Tokens and Glimmer. This will no doubt mean the return of planetary farming routes for chests and planetary resources in Destiny 2. All in all, the EDZ looks gorgeous and there's going to be alot to explore this time around! If you would like to watch the leaked gameplay then I recommend looking up your favourite YouTuber to see if they have the footage, just be warned that several videos have already been taken down!